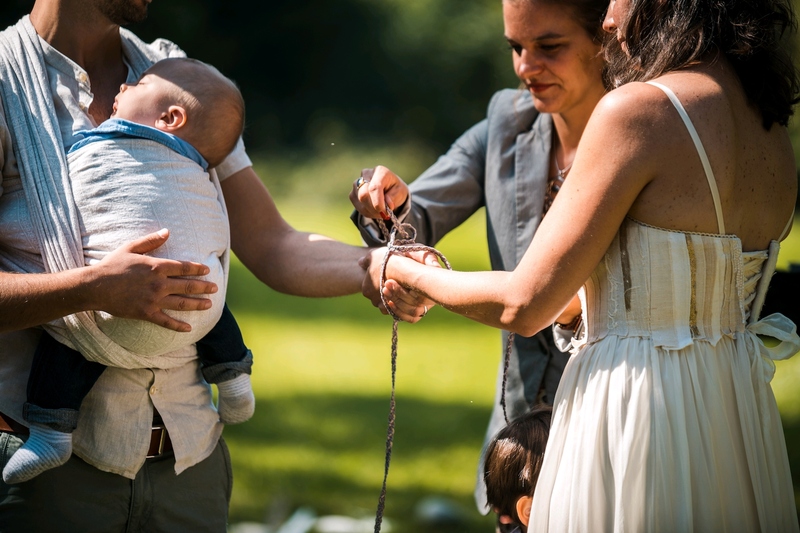 Tamara, from green, lush Switzerland, chose the Lonicera dress for her wedding day last summer. One of my favorites, its bodice is composed of strip upon strip of textured handwoven vintage hemp, raw cotton and silk, pieces of lace and bits of sequins, is rich and full of depth. I wanted to thank you for my wonderful wedding dress! It fitted perfectly and it was just the perfect dress for our natural outdoor wedding in September! Thank you so much!